I have tried repair from the installation disc. Still indicates the RCPROD.msi is missing. In that case I would suggest a full uninstall, system cleanup, and then a careful reinstall. 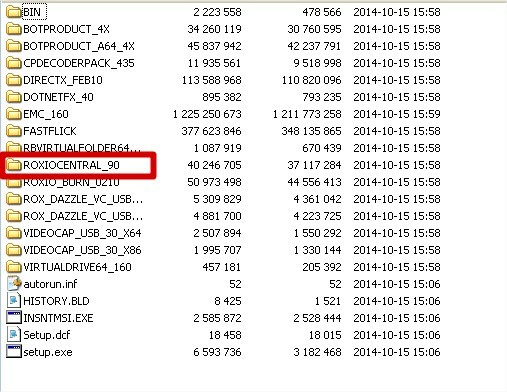 RCPROD.msi is in the ROXIOCENTRAL_90 folder. I did as you suggested. Now, I am getting error 0652. I turned off firewall and still receiving 0652. I am using Norton. I am making progress. I am know receiving "Critical Registry Keys are missing". I have tried repair several times and am still receiving the same message. What next? I turned off firewall and still receiving 0652. I am using Norton. I think your Norton's has a registry cleaner and it's hosing your Roxio Software. Disable Norton and run your Roxio disc, choose repair when offered, a reboot may be required. Disable Norton and run your Roxio Software, does your Roxio run now? I disabled Norton and am now receiving "Critical Registry Keys Needed Are Missing" What? Did you follow the directions below?? Are the "Critical Registry Keys Needed Are Missing" refering to the Roxio Software? Yes, Critical Registry Keys Needed are missing appears once I click on a task. You need to disable your Norton, and then a full uninstall, system cleanup, and then a careful reinstall. Those bits are only missing because Norton prevented a proper install.